Hyperthermia Heat Stroke: Summer Heat Makes It Especially Dangerous to Leave Children or Pets in Cars. Heat coming back again to our Plateau area and temperature up near 100 degrees the rest of the week and weekend. Across the country record Highs and Dangerous Temperatures continue throughout the entire United States. The risk of a serious injury or death during hot weather is heightened for children and pets left alone in vehicles, the National Highway Traffic Safety Administration (NHTSA) warned. 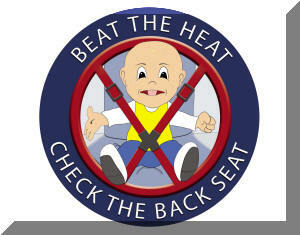 New research shows that for children hyperthermia (heat-stroke) is the leading cause of non-crash vehicle deaths. Even with the windows rolled down two inches, it only takes 10 minutes for the inside of a vehicle to reach deadly temperatures on a hot summer day, said Ronald Medford, Acting Deputy Administrator of NHTSA. Children or pets should never be left alone in or around a motor vehicle, not even for a quick errand. Any number of things can go critically wrong in the blink of an eye. related health problems include heat cramps, heat rash and sunburn. Summer can bring heat waves with unusually high temperatures that last for days and sometimes weeks. In the summer of 1980, a severe heat wave hit the United States, and nearly 1,700 people lost their lives from heat-related illness. Likewise, in the summer of 2003, tens of thousands of people died of the heat in Europe. High temperatures put people at risk. 2012 has been another record setting year with numerous days with high heat indexes. So far 11 children have lost their lives to hyperthermia. What causes hyperthermia and heat-related illnesses? 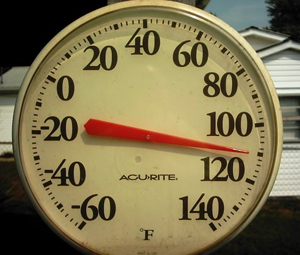 People suffer heat-related illness when the body’s temperature control system is overloaded. The body normally cools itself by sweating. But under some conditions, sweating just isn’t enough. In such cases, a person’s body temperature rises rapidly. Very high body temperatures can damage the brain or other vital organs. Several factors affect the body’s ability to cool itself during extremely hot weather. When the humidity is high, sweat will not evaporate as quickly, preventing the body from releasing heat quickly. Other conditions that can limit the ability to regulate temperature include old age, obesity, fever (illness), dehydration, heart disease, poor circulation, sunburn, and drug, and alcohol use. Infants and children up to four years of age are very sensitive to the effects of high temperatures and rely on others to regulate their environments and provide adequate liquids. People 65 years of age or older may not compensate for heat stress efficiently, and are less likely to sense and respond to changes in temperature. Overweight people may be prone to heat sickness because of their tendency to retain more body heat. – Symptoms include: dizziness, disorientation, agitation, confusion, sluggishness, seizure, hot dry skin that is flushed but not sweating, loss of consciousness, rapid heartbeat, hallucinations and death. A core body temperature of 107 degrees F is considered lethal as cells are damaged and internal organs shut down Children’s thermoregulatory systems are not as efficient as an adult’s and their body temperatures warm at a rate 3 to 5 times faster than an adults. The atmosphere and the windows of a car are relatively transparent to the suns shortwave radiation and are warmed little. However this shortwave energy does heat objects that it strikes. For example, a dark dashboard or seat can easily reach temperatures in the range of 180 to over 200 degrees F.
These objects (e.g., dashboard, steering wheel, child seat) heat the adjacent air by conduction and convection and also give off long wave radiation (red) which is very efficient at warming the air trapped inside a vehicle. Be sure that all occupants leave the vehicle when unloading. Don’t overlook sleeping babies. Keep a stuffed animal in the car seat and when the child is put in the seat place the animal in the front with the driver. 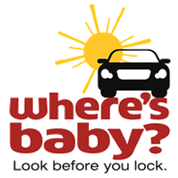 Or place your purse or briefcase in the back seat as a reminder that you have your child in the car. Have a plan that your childcare provider will call you if your child does not show up for school. Dont leave your pets in the car either!! Same affects can happen to them!